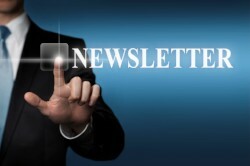 Corb7 International January 31, 2018 Newsletter | Corb7 International, Inc.
Acquisition Opportunities: Five Minute Video on STCs! The going rate of bitcoins continues to rise. As of September 2017, one bitcoin was equal to nearly $4,000 USD and $4,900 Canadian, according to the CoinDesk calculator. As of this writing bitcoin is being traded slightly over $9,800 per coin. Considering bitcoin is such a highly valued yet volatile form of currency, many people have questions as to how bitcoins were created and how they are used. Bitcoin is a relatively new currency that was created in 2009 by an anonymous person (or group) using the alias Satoshi Nakamoto. Bitcoins are produced and traded in the virtual world. In a relatively short period of time, bitcoins went from being worth pennies to thousands of dollars. Unlike other forms of currency, which are controlled by a central authority of a particular country, bitcoins are completely virtual. Bitcoins are not acquired in the same way as other currencies. Bitcoins can be bought and sold in marketplaces called “bitcoin exchanges.” These online trading areas enable people to buy and sell bitcoins using various currencies, says CNN Money. Similarly, people can send bitcoins to one another using mobile apps or a computer, much like one would make digital transfers at a bank. Bitcoins are not based on gold or another backing currency, but rather on mathematics. Instead of a federal reserve deciding on when to print and distribute money, bitcoins are created as a reward for mining. “Mining” involves a special open source software that is designed to solve math problems. As a reward for solving these problems, people are rewarded with bitcoins. This creates an incentive for people to mine. 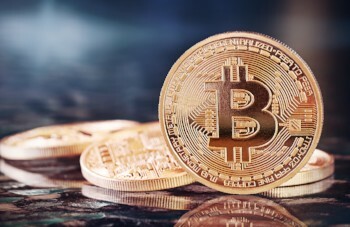 Bitcoin mining is designed to require exertion and take time so that the rate resembles the rate at which commodities like gold would be mined from the ground, offers Bitcoinmining.com. According to ABC News, available bitcoins are hidden amid a complex encrypted computer program. Users’ computers work around the clock to solve a complicated mathematical problem in order to release new coins. The system requires more work to get coins as time goes by. Bitcoins are stored in a digital bitcoin wallet. Only 21 million bitcoins can be found by miners so the value of the system is preserved. To date, not all bitcoins have been mined. Every bitcoin transaction is completely transparent, which means they can be traced back to creation. The “block chain” is a public ledger where every bitcoin transaction that has ever taken place is registered. Even though bitcoin transactions are recorded publicly, the names of buyers and sellers are never revealed. Only a wallet ID is recorded. This enables bitcoin users to buy or sell anything without it being traced back to them. While many legitimate businesses now accept bitcoins, bitcoins also are highly valued for black market ventures like purchasing drugs and illegal weapons. Bitcoins are changing the way people see money and store their private wealth. The concept decentralizes money and makes the bitcoin exchange a relatively transparent process. How to Incorporate More Reading into Your Schedule! Reading helps people of all ages expand their vocabulary. For students, that can translate into improved scores on standardized tests and performance in school. Reading also can lead to higher scores on general tests of intelligence, according to researchers at the University of California, Berkeley. Those who want to boost their health and happiness need look no further than a good book to do so. One of the main advantages to reading, particularly for adults, is that it helps keep minds sharp longer. According to the journal Neurology, reading gives the brain a good workout, which can improve memory function. This can slow down the process of cognitive decline. Reading also helps boost concentration. Multitasking, checking email, watching television and chatting on social media can cause stress levels to rise and productivity to wane. Conversely, when reading a good book or informative article, all attention is focused on the story. This focus can be extended to other things, such as school or work projects. Now that just some of the reasons to read have been presented, people may wonder just how to increase their propensity to read. The following are some ideas to get started. Buy several paper books. While all books and reading materials can be beneficial, paper books may help people stay focused longer. 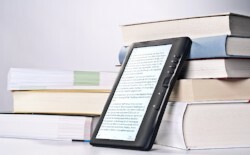 Based on the research paper, “Reading from paper versus screens: A critical review of the empirical literature,” by Andrew Dillon, figures vary according to means of calculation and experimental design, but the evidence suggests a performance deficit of between 20 percent and 30 percent when reading from a screen. People can’t toggle between apps when reading a paper book versus text on an e-reader, reducing distractions. Subscribe to magazines and newspapers. Have plenty of reading materials handy, which can easily be tossed in a tote bag or carried to and from appointments. Resist the urge to use a mobile device, opting to read a magazine or paper instead. Read at the gym. Bringing a book along to the gym has dual benefits. 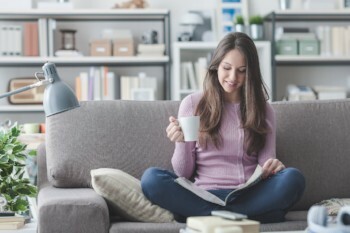 Not only will one be engaging the brain as well as the body, but also becoming absorbed in a chapter or interesting piece can prolong the workout. That means spending more time on that treadmill, elliptical machine or stationary bike to finish the meaty part of a chapter. Read before bed. Skip late-night television watching in favor of a relaxing read. Blue light, which is emitted from televisions, mobile phones and tablets, signals to the brain that it isn’t time for sleep. Therefore, melatonin production can be delayed, making it more difficult to fall asleep. Reading a paper book by a dim light may be relaxing enough to induce sleep. In addition, according to the organization Weight Watchers, snuggling up with a good read tamps down levels of unhealthy stress hormones such as cortisol. Feeling stress-free is a relaxing way to wind down from a tough day. It is easy to include more reading in your day, especially when people understand the benefits reading provides the mind and body. 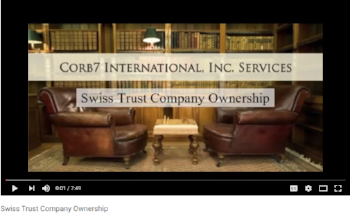 Above please find a five minute video message regarding the topic of Swiss Trust Company ownership! I hope you have the opportunity to review and that it addresses some of the questions that you might have regarding this business model. We suppose it was only a matter of time, and here it is. If you desire privacy and do not want to leave the comfort of your home but want a professional to speak with, then Talkspace might be just right for you. Talkspace is an online and mobile therapy company based in New York City. 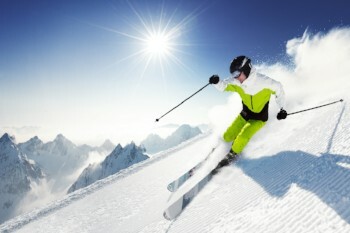 It was founded by Oren and Roni Frank in 2012. 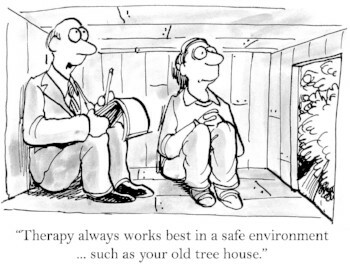 Talkspace users have access to licensed therapists through the website or mobile app. Cold weather is here and with winter the desire for adult beverages which warm The scotch Malt Whiskey Society is a club unlike any other. As well as being a place to connect with other like minded whisky lovers, the society is also internationally renowned for their mission: to provide members with an adventurous and fun journey of discover of the world”s widest collection of single cask whiskies. 1. Book an all-inclusive trip.